Sounds like a not so good review. Guess again, Screw 95 honest review is an rude awakening as you can’t tell a book by it’s cover (or name). Screw 95 as in get rid of your 9-5 job. Expecting something very different, I was pleasantly surprised by my research of this product. I have viewed some of Jay’s videos on Youtube and thought he was a lot of hype. Trying to make an impression by the shock factor. But what a surprise. His product has a lot more value than I would have expected. His course is very well done, if you like learning by videos. There is no text available. The videos are well done and fairly easy to understand. If you want to build a lot of small sites that make small amounts of money, this course is for you. If you want a unique approach to building sites, this program will work for you. Jay is a very good teacher and easy to follow. Teaches mostly a unique system if that interests you. All the training is good, except for Stage 4. I would discount this lesson. His teaching of link-building strategies is frowned upon by Google, so I would discount this part of the training. It might not be for everyone, but it is a good product for certain individuals. The members area is divided into 5 different stages and 3 bonuses. Each stage consists of a couple of videos each up to 15 minutes long. Support: There is very little support and all newbies need a lot of support and everyone needs help and answers to problems. Price: Screw 95 is $97.00, a one price without any up-sells. This course will definitely help the newbie get started and also some gems for the more seasoned marketer. He offers some very informative marketing techniques like, social media, viral marketing and basic SEO training. If you prefer to build a lot of sites to make a living, than this approach is good for you. 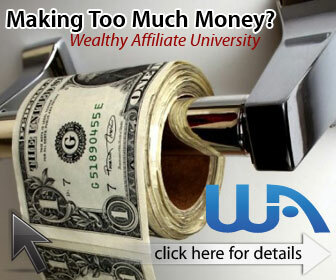 But if you would rather build a few authority sites, than this program is lacking. Check out my favorite program by far. But it does have a lot of good content that you can cherry-pick for your own needs. Considering the cost it still might be a good buy. VERDICT: Legitimate product, but very user specific. If you have any comments or questions, please leave them below and I will be glad to answer them.